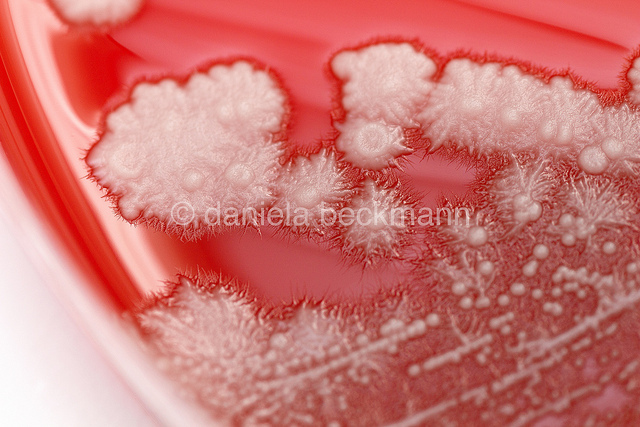 Yeast will grow on bacteriological media (sheep blood agar and chocolate agar). 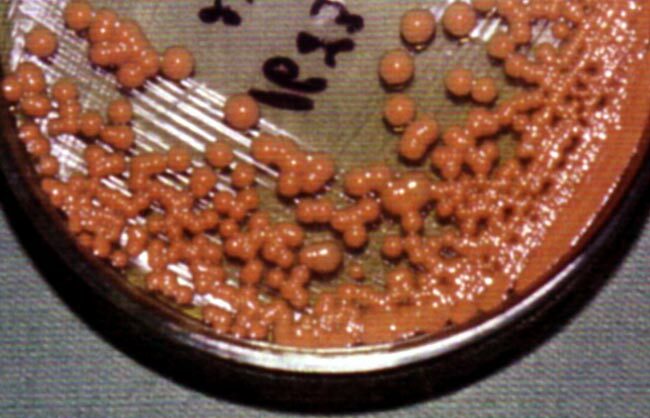 They may appear as small, creamy or white colonies that are somewhat more raised than staphylococcal colonies. 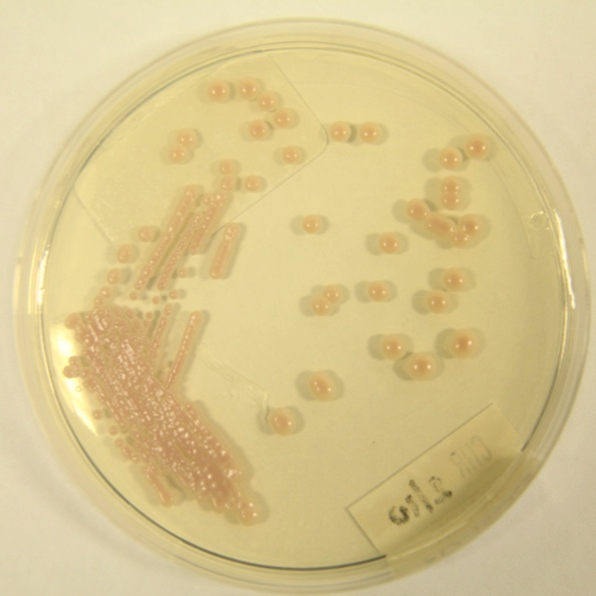 A presumptive identification of Candida albicans can be made by observing pasty, yellow-white colonies from which “feet” extend out from the margins into the surrounding agar. 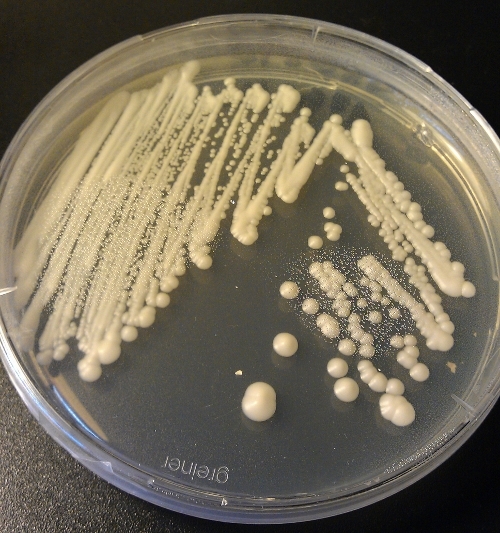 Candida species are generally creamy white, although Candida krusei exhibits a flat, dry colony morphology. 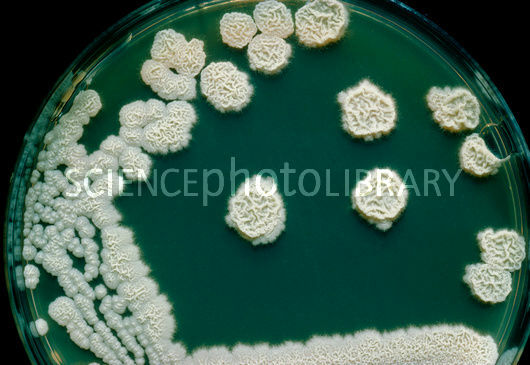 Here is a Macrophotograph showing a petri dish culture of the yeastlike organism (fungus) Candida krusei, after 10 days growth on Sabouraud dextrose agar. This species is known to be a food spoilage organism. The distinctly mucoid appearance of the colonies in image B provides for a presumptive identification of Cryptococcus species with its production of abundant polysaccharide capsular material. 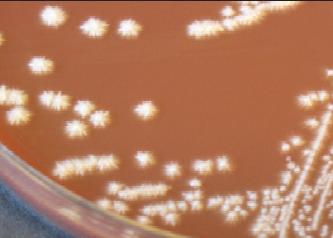 Colonies that demonstrate characteristic morphology should be examined by wet mount to confirm the presence of a yeast in culture.